One of the world’s leading databases of stolen works of art is offering to help Cuba recover dozens of modernist works missing from Havana’s National Museum of Fine Arts, Lebanon’s Daily Star reports. The heist was confirmed late last week by officials with Cuba’s state-run National Council of Cultural Heritage, which was finishing an inventory of the missing pieces which will be made public. Miami gallery owner Ramon Cernuda, a Cuban-American exile and art collector, alerted the Havana museum last month after he became suspicious of 11 works being offered for sale in Miami. 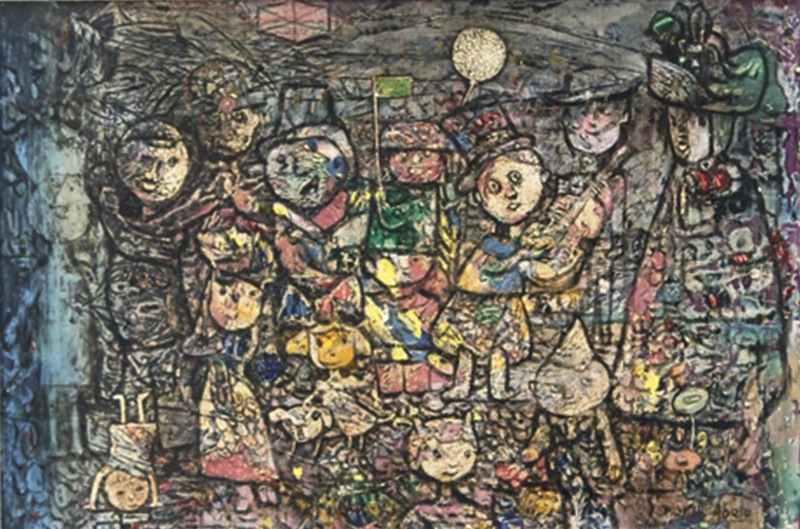 Cernuda himself purchased Eduardo Abela’s “Carnaval Infantil,” 1953, for $15,000. Cuban officials confirmed Friday that the works, including several by acclaimed Cuban painter Leopoldo Roma?ach, were part of a larger trove of stolen art, thought to be about 95 pieces in all. The U.S. Federal Bureau of Investigation has begun grand jury proceedings in the case, Cernuda told Reuters Monday. The disclosure of the theft is a first for the Cuban state since Fidel Castro took power in 1959. In its statement, officials from the Council stated that the works were cut from their frames while in storage. Most of the missing works were by Cuban artists, it said. In years past, the Cuban state has stayed mum when museum pieces have been put on the market, raising suspicions that the sales had been officially approved in the face of hard economic times. Julian Radcliffe, chairman of the London-based Art Loss Register, said he was in the process to contacting Cuban law enforcement and museum officials to offer help. The organization is the recognized leader in recovering stolen artworks. If Cuba decides to take Radcliffe up on his offer, it could bode well for the recovery of the works. Since it was established in 1991 the Art Loss Register has recovered some 2,000 pieces. In Cuba’s case, some missing museum items in the past included works expropriated from families that went into exile after the 1959 revolution.